Whole PDP Ward’ In Akwa Ibom Defects To APC. 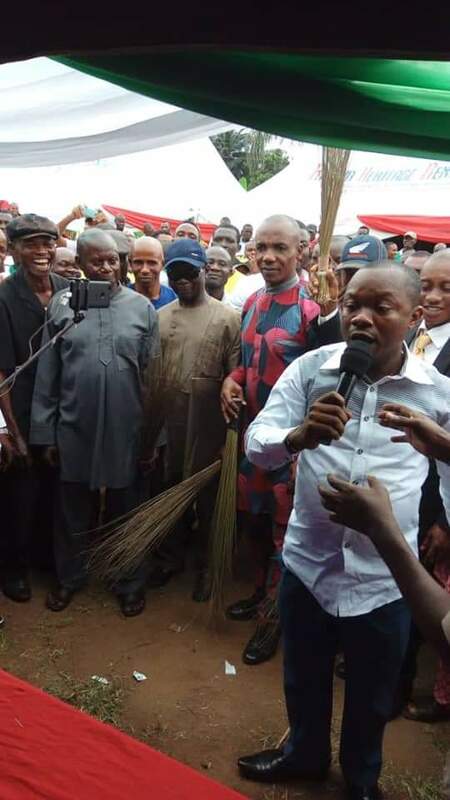 The All Progressives Congress (APC) says it has welcomed the "entire chapter and community of Exco" of the People's Democratic Party (PDP) in the Obot Akara area of the Akwa Ibom state. The party announced on Twitter that the defectors of Abom Tony Esu, the director-general of the Nsima Ekere campaign organization, the party's governing candidate in the 2019 election, were received at their new party. "The entire Chapter & Ward Exco of the PDP at Obot Akara LGA in the state of Akwa Ibom, along with thousands of its members, went to the APC on October 17, 2018, when DG Nsima Ekere 2019 Governor Abom Tony Esu visited APC, "it said. The political terrain in Akwa-Ibom has experienced some minor defects since Godswil Akpabio, a two-time former governor of the state, has defected from PDP to APC.